Patch 5.4 is finally here and with it comes a new raid to tackle, the Siege of Orgrimmar. The final raid of this expansion, we get to finally put an end to Garrosh’s tyrannical reign and bring order to the land of Pandaria and the state of our beloved Horde. 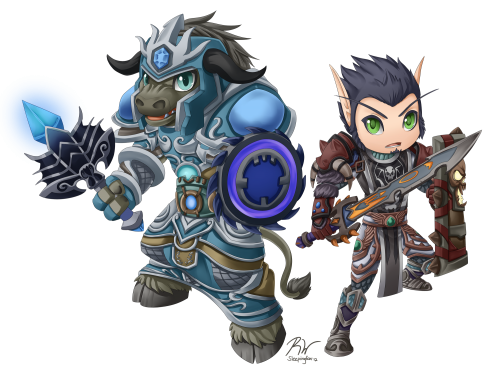 But first, we have to take out (or help free) Garrosh’s soldiers and minions he’s set upon on us. 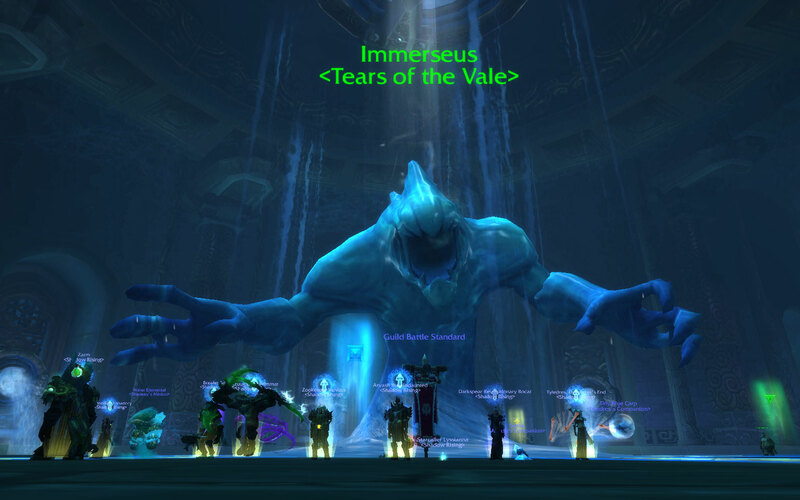 First up, Immerseus, a corrupted water being, created from the pools found in the Vale of Eternal Blossoms. We didn’t have Sorak or Wok last night, so that left the tanking duties to Tyle and me, with Adoe, Shadeey, Lyss, Zug and Bocat to dps and Slice, Van and Zarm healing. We split the raid into separate quadrants around Immerseus to give everyone space to manage its abilities; Tyle and I, with Van, Adoe and Zarm between us, took one half of the room, keeping Immerseus’ frontal cone from hitting others and tank swapping every Corrosive Blast and rest of the dps with Slice took the other half of the room. This set up gave everyone room to drop and move away from their Sha pools and kept the entire raid from getting hit at the same time by the Swirls and jet of water that Immerseus does in a spinning fashion, similar to Wise Mari’s ability in the Temple of the Jade Serpent instance. 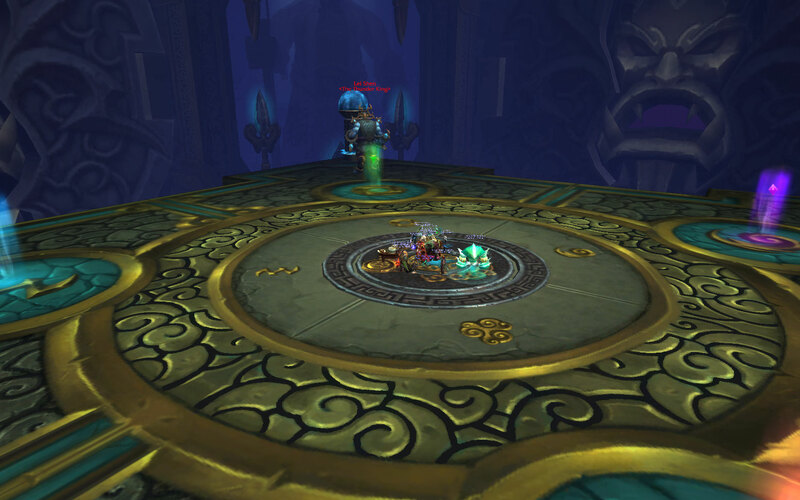 This positioning also allowed us to manage the different puddles that Immerseus would split into around the room during phase two, with the healers healing the Contaminated Puddles and the tanks and dps killing the Sha Puddles. Killing or healing these puddles provides a short buff that increases your damage or healing on other puddles in that phase. It took us a handful of pulls to figure out the raid positioning and the split phase. On the final pull, we had made it through the fourth split when I noticed the Berserk timer quickly approaching zero. As the final remaining puddles reached Immerseus, the raid exploded and we thought that Berserk had gotten us….until the loot windows popped up and we saw Tyle still alive and breathing. Go Tyle! The kill, I mean save, wasn’t pretty, but I’ll take it. Hopefully next week’s attempt will go a lot smoother, lol. I was blessed by the weapon Gods again. 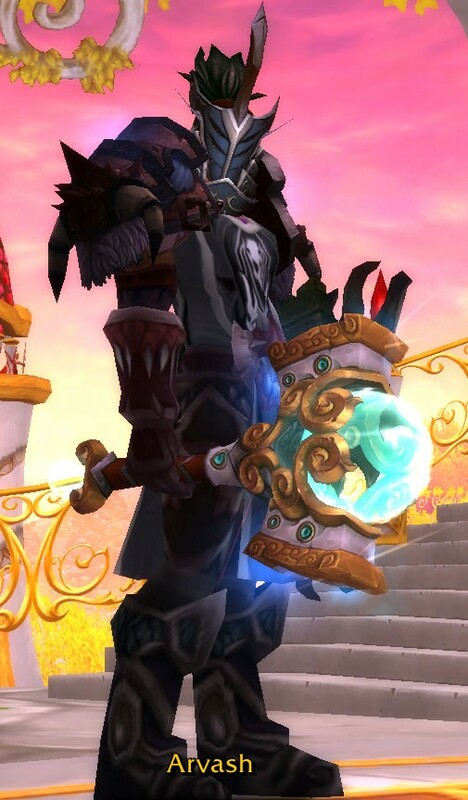 On our first Jin’rokh kill in Throne of Thunder, I won a tanking axe off a loot roll, the Worldbreaker’s Stormscythe. On our first Siege of Orgrimmar boss kill, Immerseus dropped its tanking mace, the Encapsulated Essence of Immerseus (which oddly enough doesn’t show on Arv’s armory page). Yep. One-shotted the Twins Wednesday night. ‘Nuff said. 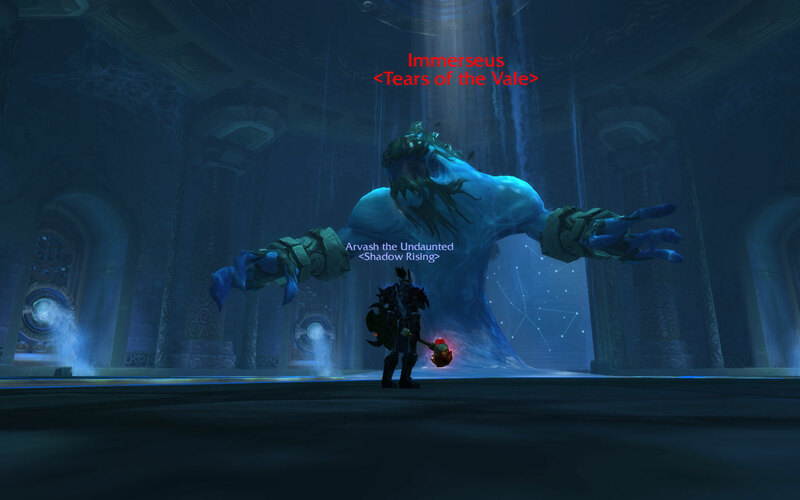 Why did they have to wait to put the LootBosses™ in the second half of Throne of Thunder? Why couldn’t they make Horridon a LootDirehorn™ when patch 5.2 came out so we didn’t have to take several weeks and numerous nerfs before we could down the dino? Let’s just hope we don’t have to wait deep into the Siege of Orgrimmar raid to get our next share of LootBosses™, mmkay Blizz? The Twins fight is pretty much the same as the LFR version, the only difference I noticed was that the tank who was tanking the Beast of Nightmares cannot be healed by your healers, or else they would get a stacking debuff of them for each heal. Tanks still have to swap after 2 stacks of Fan of Flames when fighting Suen. She still needs to be dragged to the Ice Comets that Lu’lin periodically leaves to keep Suen’s Blazing Radiance buff low. You could use the Celestial buffs to aid you with the fight, but they didn’t seem necessary. I think Zug was able to get Niuzao’s Fortitude of the Ox (increases health) and Yu’lon’s Serpent’s Vitality (restores health and mana) once. There may have been Chi-Ji’s A Rush of Cranes (damages enemies) that went out, but I’m not sure. I did want to see my favorite Celestial come out, Xuen, who grants The Tiger’s Celerity (slows boss abilities), but his buff wasn’t really needed. And for the final phase, we just rotated raid CDs to minimize the Tidal Force damage that Lu’lin uses. And that’s pretty much it. The Twins even fell over the same way next to each other. Arv’s sleeping with the ladies, lol. So we spent the rest of the night on Lei Shen. We put in about 20 attempts on him and on our last and best attempt, we got him down to 30% and into the second transition phase before everything fell apart. I think once we smooth out our transitions and keep the adds to a minimum, we’ll eventually get him down. 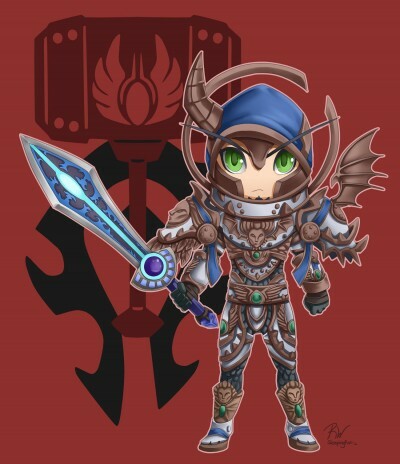 One more boss guys, let’s finish this so Slice can get back to pet battling! 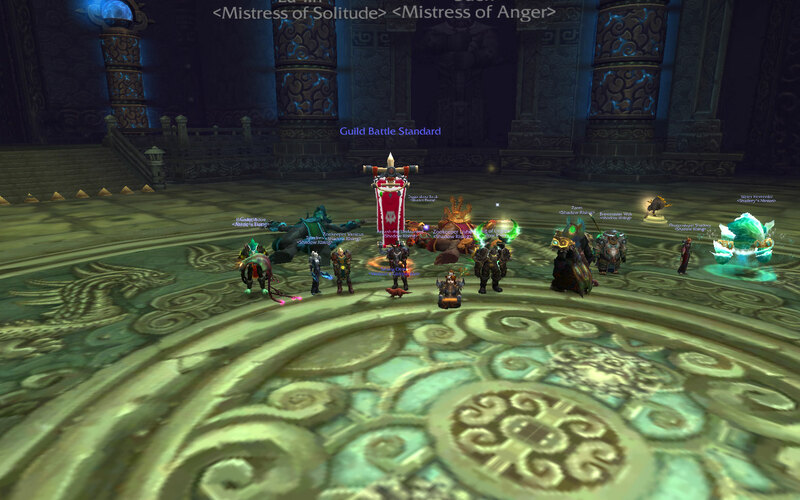 So last night, SR went back to Throne of Thunder to take care of some business after missing a few core members last week. We used our lockout from last week where we killed Ji-Kun and began the night on Durumu. A couple mishaps from peeps dying to Eye Sores and Adoe accidentally running the blue beam around the room revealing his add and we eventually got the big Eyehead down. 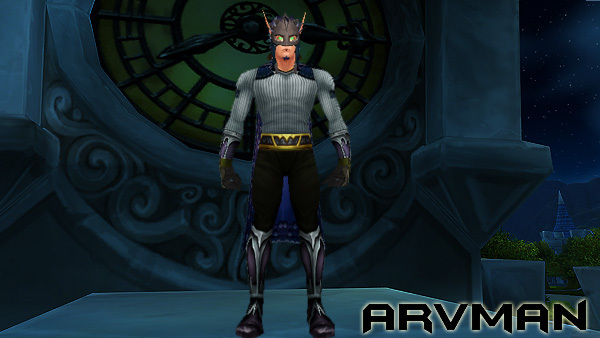 Primordius was a one-shot and so was the Ritualist trash before Dark Animus, which Sorak was very happy about, lol. We had to adjust our positioning and assignments around for Dark Animus, since this time Tyledres was tanking and Vanicus went heals, who wasn’t there for our first kill. Another couple pulls after working out some kinks with mistakenly activating the Large Golems and the Dark Animus soon fell over, which Sorak later proclaimed was less exciting than one-shotting the trash before, haha. 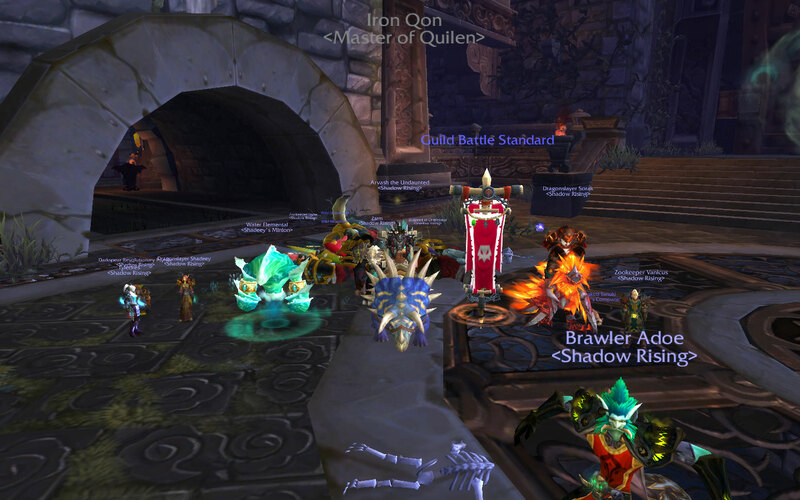 So it was off to Iron Qon and his flying doggies, Ro’shak, Quet’zal and Dam’ren. The last time we faced Iron Qon, we were having trouble with Ro’shak’s Flame phase and the tornadoes from Quet’zal’s phase and only got to Iron Qon once. It only took us a few attempts to get the flame phase right this time around, with the melee group and ranged group working in sync. The tornado phase was much better as well, save for the first few attempts where I totally brain farted and failed on them, lol. I tried to outrun them by running in front, but got caught every time, so I waited instead to let them pass and sprint my way through. Dam’ren’s frozen stage was pretty trivial; it was pretty easy to avoid the lines of ice from the spear and attacking him on its non-shielded sides. Then it was Iron Qon’s turn. At this point, we still had everyone alive and it was just a matter of cycling through our defensive raid CDs during Qon’s Fist Smash and popping our offensive ones and before we knew, we had ourselves a new boss kill. 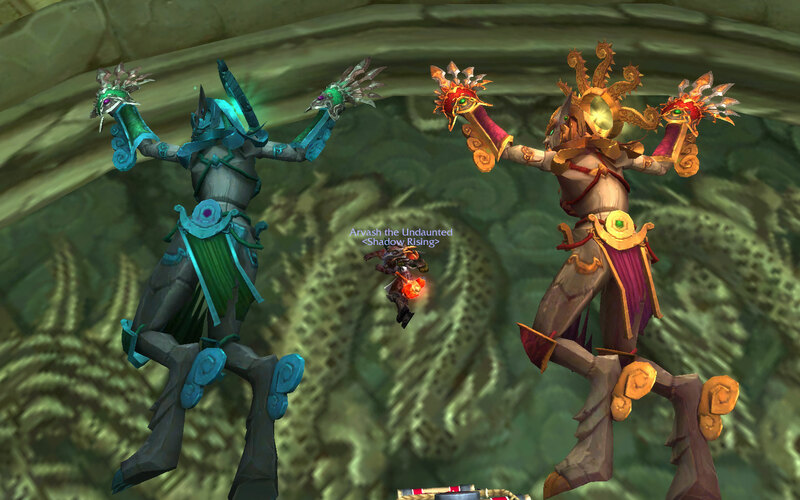 We didn’t have much time left in the raid, so quickly made our way to the Twin Consorts to get a few attempts in. We only managed two attempts and was pretty close to getting another boss kill when we wiped at around 5%, real close to the enrage too. And that was pretty much without any Celestial help, save for maybe one crane assist that Zug was able to pull off.